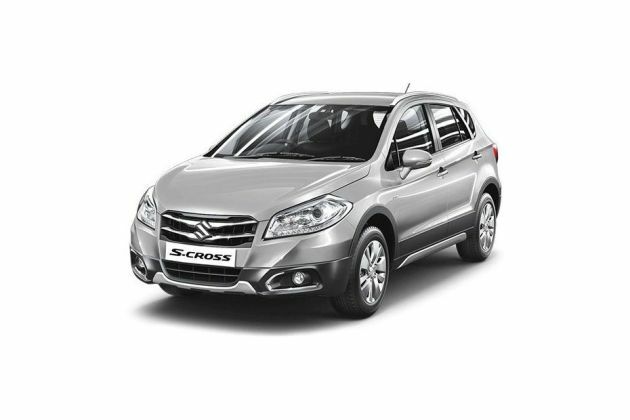 Maruti has finally released the S-Cross after a much anticipated wait from the Indian car base. The vehicle falls into the premium crossover category, and is available in a list of variants. A notable one among them is the Maruti S-Cross DDiS 320 Alpha , which is an upper end variant, and it comes with a strong list of features. Starting off with the interior arrangement, the cabin atmosphere is enriched with fine upholstery and chrome highlights all round the cabin. Beside this, there is a good entertainment unit, along with many added functions. A navigation system is present, allowing for a well informed, strain free drive for the man behind the wheel. Beside all of this, there is a facility for remote control through a smartphone application. Voice command is another highlight of this variant, giving occupants a far more relaxed experience. Cruise control makes for a convenient and safe drive. For added relief, the outside mirrors are electrically adjustable and foldable. A central locking system, along with a keyless entry, promote a hassle free experience. As for safety features, there is a rear parking camera along with a display aided rear parking sensor, enabling a safe and convenient reversing. Coming to the car's exterior outfit, it is muscled and toned, while at the same time, carrying a sporty grace. There are many decorative elements like chrome highlights and silver garnishes to stylish wheels that make it stand out among others. This variant is driven by a turbocharged 1.6-litre DDiS diesel engine that displaces 1598cc. The company claims to have built this engine with special, sound insulating materials that enable a more peaceful drive for the occupants. The vehicle's toned outfit also comes with sporty themes for a more handsome look. At the front, the chrome front grille makes for a solid design statement. The headlamp clusters on either side are stylishly designed, and the company has also incorporated them with LED position lamps for better road visibility. The wide hood accentuates the vehicle's muscular build. The silver skid plate garnish adds flavor to the appearance by the front. Coming to the side facet, there are stylish alloy wheels that come along with center wheel caps. The body colored door handles integrate into the overall picture well. The outside mirrors are also body colored, and they are equipped with turn lamps for safety value. This variant comes with silver roof rails that give a more trendy look. There is a blackout on the B pillar, emphasizing the car's sporty persona. By the rear section, the split rear combination lamps add to the visual aesthetics. The cabin arrangement enables space and comfort for all of the occupants. The seats are covered in leather upholstery for a plush environment. In addition to this, there is a door armrest in PVC, offering convenient arm placement for the passengers. The door handles are of chrome for a more ambient feel. In addition to this, there is a chrome finish on the AC louvre knobs as well, while the parking brake lever is chrome tipped for a more opulent interior picture. The driver gets the benefit of a leather wrapped steering wheel, which adds to the interior quality. Beside all of this, there are good convenience facilities offered within the car. There are vanity mirrors for both the front passengers, along with vanity mirror lamps. There are armrests at the front and the rear, with a cup holder function present at the rear. A glove box is also present for added storage purposes. A sunglass holder makes for holding shades in a secure manner. The front seat has a pocket at the back for storing spare things. Bottle holders are present by the door trims, capable of holding 1-litre bottles. This variant is armed with a 1.6-litre DDiS diesel engine that has a displacement value of 1598cc. It consists of four cylinders put together through the DOHC configuration. The drive-train is also aided by a variable geometry that facilities better performance. Further, it gives a power output of 118 at 3750rpm, and a torque of 320Nm 1750rpm. The engine is paired with a 6 speed manual transmission, enabling hassle free gear shifting for better performance. The model has strong braking system that consists of disc brakes at the front and rear. To be more specific, the front brakes are rigged with ventilated discs, while solid disc units are present at the rear. Turning to the suspension system, there is a McPherson strut on the front axle, which comes along with a coil spring. The rear axle is armed with a Torsion beam that also comes with a coil spring for efficient handling quality. Beside all of this, this variant comes with the anti lock braking system, which affirms safety when braking. Firstly, this variant gets a Smartplay Infotainment system, which offers a fine entertainment quality. This is further aided by four speakers by the doors and two tweeters, enabling apt sound distribution within the cabin. For the convenience of the driver, there is also a TFT information display that provides a trip meter and a fuel consumption meter. A 7 step illumination control is also present for added ride comfort. Bluetooth connectivity is another prized feature, and it allows for audio streaming and for hosting calls within the cabin as well. The controls to the audio and calling facility are mounted on the steering wheel for ease of working. A USB port and Aux-In facility allow hosting external devices for added passenger convenience. The front armrest has a sliding function for easier functioning, and a storage feature is also present in it. The glove box comes with a damper and an illumination feature for added convenience. A front map lamp is present too, along with a illumination for front foot-well and for the luggage compartment. The rear seat comes with a reclining function for the comfort of the rear occupants. The automatic air conditioning system enables a more tranquil interior environment, while a dust and pollen filter helps keep the space clean. Firstly, the car is built on a Suzuki TECT body format, which aids in protection against impacts. Then, there are airbags for both front row occupants, keeping them shielded in case of a mishap. The seatbelts at the front have pretensioners and belt force limiters, enabling a stricter level of safety. HID projector headlamps ensure that the road is kept well lit, preventing mishaps before they occur. A headlamp leveling function is also present along with this. An auto dimming interior rear view mirror further elevates safety while driving during night times. A demister is present at the rear, along with wiper and washer facilities for wet weather conditions. 1. Attractive exterior profile and look. 2. Fulfilling range of comfort and convenience facilities. 1. It could use additional techno aids for better handling. 2. The safety features need to be improved.